It’s easy to check in … but hard to check out. Ella town is just up the road. Ella Jungle Inn is a road-front accommodation catering to the traveler plying the main tourist route from the hills to the beach through the wilderness of UVA and the southern province. 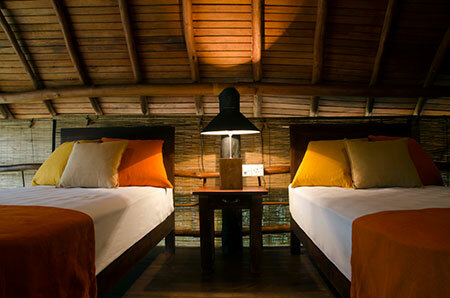 We are situated just 20 minutes from Ella city and Ravana waterfall. How about an adventure or an excursion? We serve the bed and breakfast, lunch and dinner needs of the discerning traveler who wants to break journey or stay a few days for adventure activities at Ella Jungle Resort or for an excursion of UVA province before continuing the journey.